In front of a sold-out, star-studded Chicago crowd, Trilogy moved to 5-0 behind a dominant 27-point performance from Rashad McCants while 3 Headed Monsters and Power kept pace with decisive wins. In the day’s finale, Ghost Ballers came from down 13 points to earn a hard-fought comeback victory that keeps them in playoff positioning. BIG3 Week 5 games will air on Fox Sports 1 Monday evening at 8 p.m. ET. BIG3 Week 6 will bring its intensely competitive games to Dallas’ American Airlines Center on Sunday, July 30 at 2 p.m. CT. The BIG3 survives after this year as a viable tournament if they are able to find a STAR that can play IN THE GAMES. That's the only way. Allen Iverson is now that star, however he clearly has nothing left in the tank. Nothing left to give to the game. Many fans were disappointed when A.I. didn't suit up in Philadelphia last week. After Iverson in popularity believe it on not, is Brian Scalabrine (pictured below), The White Mamba. But he is hardly the best player on the floor. That honor this week goes to Rashad McCants, who at one time dated Khloe Kardashian. But his star power is not there. Some think former NFL wide receiver Terrell Owens should join the league. However that would only cheapen the product and turn the tournament into a traveling celebrity basketball game. There are more than enough celebrities on the sidelines. It was unfortunate that Jason Williams "White Chocolate" got hurt in the first week. He still displayed the flashiness that defined him as a NBA player in the one game he played. But the star player they need is not playing currently. After every game the players talk about how great it is to experience the camaraderie and competitiveness that as retired NBA players they sorely miss when they first stepped away from the game as a professional. Remember this is something they've been training to do since they were 6 or 7 years old. So for players that still have that itch, The BIG3 needs to attract Kobe Bryant (not likely), Paul Pierce, and Kevin Garnett. Also eventually players that are most likely to retire from the NBA over the next couple of years like Richard Jefferson, Pau Gasol, Dirk Nowitzki, Manu Ginobli and Vince Carter. But the key for any of these players is the desire to play in the league and having something left in the tank. Gary Payton said,"I could train for 2 or 3 months and get back out there. But I had a great career. I don't feel like getting hurt right now. ...tearing an Achilles or an ACL and being out for a year. [...laughter...] I like walking around everyday." 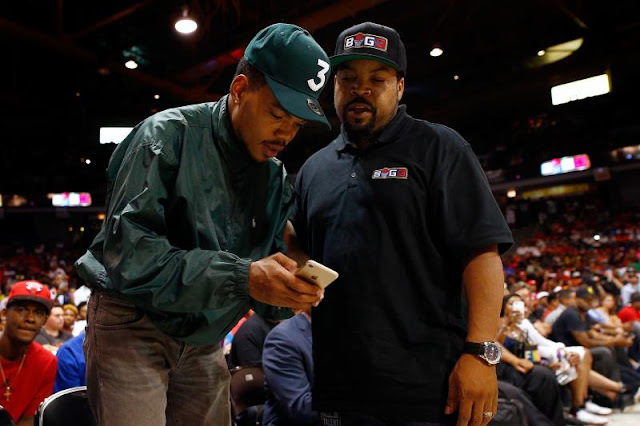 It's a reminder that these players are special and elite and what Ice Cube is attempting to do with The BIG3 is a lot harder that it appears to be. If only Shaq, Barkley, and MJ could play.